Marijuana dispensary paperwork is very crucial when you are starting your cannabis “dispensary” business. Dispensary paper work that the state of California requires to start and operate a cannabis business is available at 420 College. This will allow you keep updated files for all the transactions and other business documents. As you carry out your business, a good filing system and a good traceability software like BiotrackTHC will keep all patient information in tact. When you have a compliant business with the proper marijuana dispensary paperwork, it will be hard to take down a business like yours. Displaying the marijuana dispensary paperwork well in the office, is very important when the planninge department comes into your office. To put into use the knowledge you get from 420 College on running a marijuana dispensary, you must make your office as presentable and conduct business in a professional manner. Clearly filed information also helps in keeping good records for accounting purposes. When you are doing the audits after month end, you will simply need to go to your neat file and take the needed documents. 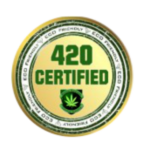 Knowledge gained from 420 College will assist you in choosing the best marijuana dispensary paperwork filing. 420 College and attorneys will be hosting a live seminar in Pasadena to go over all aspects of marijuana business operation and provide with marijuana dispensary paperwork. Our hands on medical marijuana business start-up seminars or one-on-one consultations are perfect to get started! 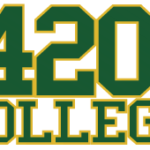 Find out how 420 College 2 DAY seminars can help you in your business, click here.